A Florida Man upset that his baked potato was undercooked allegedly stabbed a woman in the head with a fork in a domestic spud rage incident early this morning, cops report. 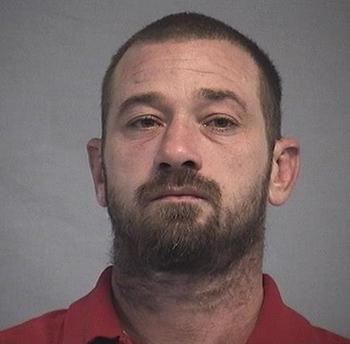 Kenneth Crumpton, 36, was busted today on a felony aggravated battery with a weapon charge in connection with the 12:30 AM attack inside a Jacksonville-area residence. Crumpton, seen at right, is being held in the Nassau County jail in lieu of $25,000 bond. During questioning, Crumpton told cops that he did not stab the woman. Instead, he claimed to have thrown the fork, which "glanced off her head." The woman was not seriously injured and declined a police offer of medical assistance, according to an arrest report. Deputies seized the fork used in the attack and a bloody shirt as evidence.